The government is attempting to control the cost of living, says Minister of Agriculture Mahinda Amaraweera. 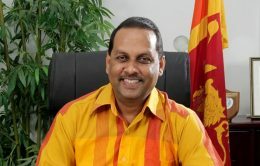 The Criminal Investigation Department (CID) yesterday (14), filed a case against Parliamentarian Ravi Karunanayake in the Colombo Fort Chief Magistrate’s Court for having allegedly provided false evidence before the Presidential Commission of Inquiry (PCoI) which probed the Central Bank Treasury Bonds scam. 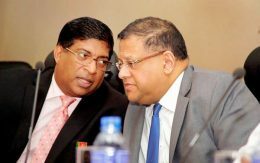 Sri Lanka Cricket (SLC) has reported to the police’s cybercrime division to investigate an e-mail sent from its own server asking broadcast revenue to be transferred to an offshore account.